PDF presentation can be viewed here. Johannes Itten was a Swiss color theorist and artist who taught the foundation course in craft through the study of color and form at the Bauhaus (Zifcak 2010). He taught and studied colors from both a scientific and artistic perspective (Ekperigin 2000). To Itten, “Color is life; for a world without color appears to us as dead… Colors are the children of light, and light of their mother” (Itten 1970, p8). Itten’s most notable impact on present-day color theory was his association of certain colors with specific emotions (Ekperigin 2000). He explained, “Colors are forces, radiant energies that affect us positively or negatively, whether we are aware of it or not” (Itten 1970, p12). According to Itten, all tints represent the brighter and better aspects of life, while all shades represent all the darker, sad, and negative forces (Fulton 2011). Ittten assigned color qualities like warm and cool to describe how colors react with each other and how they affect people physically and psychologically. His book, The Art of Color was a synopsis of his teachings at the Bauhaus, and was groundbreaking in its study of how colors impact the viewer. His use of psychoanalysis to inform his theories set him apart from his contemporaries (Ekperigin 2000). Itten believed that some individuals have a preference and flare for certain contrasts and experience difficulty in handling others (Itten 1970, p25). He called an individual’s preferred color combinations, ‘subjective colors’. One of his student’s subjective colors were light violet, light blue, blue-gray, yellow, white and a touch of black. His fundamental “tone” was hard, cold and somewhat brittle. When he was discussing his choice in vocation with Itten, it was suggested that the student had a natural affinity for metals, particularly silver, and glass. The student responded, “you may be right, but I have decided to become a cabinetmaker”. The student went on to design furniture, and incidentally created the first modern steel chair and became a highly successful architect in concrete and glass. A second student’s subjective color combination included orange-brown, ocher, red-brown and some black. Itten again asked his student about his proposed vocation. The student replied confidently, “I’m going to be a woodworker”. According to Itten, he had perceived his natural calling, “A man cannot do his best except in an occupation that suits him constitutionally, and one for which he possesses the requisite aptitudes” (Itten 1970, p25). Itten continued to carry out interesting experiments with his students. He asked them to depict the four seasons using whatever colors they wanted. To his surprise all the students used completely different sets of colors from each other but everyone could easily depict which seasons their peers were expressing (Fulton 2011). “I have never yet found anyone who failed to identify each or any season correctly… this convinces me that above individual taste, there is a high judgment in man… one which… overrules mere sentimental prejudice (Itten 1970, p25). As a result of these experiences Itten described Spring as youthful, light and radiant, expressed with luminous colors, particularly yellow, yellow green, pink and lilac. Summer colors are, “warm, saturated and active”, with clear primary colors, such as red, royal blue, emerald green, and violet and magenta, all of which have subtle blue undertones. The colors used to describe Autumn contrast very sharply with those that represent spring. Typical autumn colors are rust, teal, salmon, avocado green, mustard, brick red and beige. Autumn leaves, campfires, pumpkins, and all of nature reflect perfectly the colors of the autumn palette (Dumont 2012). Winter pairs with the grey-toned muted cool colors, such as slate blue, winter white, charcoal, mauve, burgundy, and an endless variety of pastels and icy colors. Winter’s colors are like a snow-scape: icy, muted, subtly greyed, and very subdued (Dumont 2012). Itten organised his color wheel using primary, secondary and tertiary arrangements. The primary colors are yellow, red and blue. They are placed in the equilaterial triangle with yellow at the top, red in the lower right and blue at the lower left. Above this triangle is another cirlce, in which a hexagon is inscribed. In the isosceles triangles between adgacent sides of the hexagon, are three mixed colors, each composed of two primaries. These are the secondary colors. At a radius outside the first circle is another circle, divided into twelve equal sectors. In this ring are the primary and secondary colors leaving a blank section after each color. In these blank sections are the tertiary colors each of which result from mixing a primary with a secondary color (Itten 1970, p29). Once the user can visualise all of the 12 hues, tones can be easily found. Itten believed it was a waste of time for colorists to practice making 24 or 100-hue color circles. He questioned for example, if anyone could visualise color No. 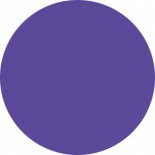 82 of a 100-Hue circle? (Itten 1970, p30). He emphasised, “unless our color name corresponds to precises ideas no useful discussion of color is possible”. To discover all possible harmonies, one must catalogue all possible instances of order in the color soild. The simpler the order, the more obvious the harmony (Itten 1970, p21). All compliemntatey pairs, all triads whose colors form equilaterial or isosceles traingles and all tetrads forming a square or rectangle are harmonious colors (Itten 1970, p21). Itten went a step further and created a spherical version of his color wheel that included the 12 hues and a two-step tint and shade for each Hue. The shape of a sphere was decided upon, as it is the elementary shape of universal symmetry. It serves to illustrate all fundamental relationships among colors and between chromatic black and white. The equatorial zone contains the pure hues, lightened with white and darkened with black. The several tonalities of any level of lightness or darkness should be equal and match the gray of that level. Itten was one of the first to develop successful methods of creating striking color contrasts. His seven methods were the contrast of saturation, contrast of light and dark, contrast of extension, complementary contrast, simultaneous contrast, contrast of hue and the contrast of warm and cool (Ekperigin 2000). He believed that, “The principles may not make a good artist where talent may be lacking, but will nonetheless save him the embarrassment of making clumsy mistakes with the spectrum” (Itten 1970, p5). A contrast of hue is the easiest to identify. It is created by the juxtaposition of different hues. The intensity of the contrast reduces as the hues move further away from the primary colors (Ekperigin 2000). The most extreme example of this contrast is red/yellow/blue yet all pure, undiluted colors can participate in this contrast. The effect is always tonic, vigorous and decided (Itten 1970, p33). An example can be seen in Alessandro Botticelli’s Lamentation Over the Dead Christ With the Saints Jerome, Paul, and Peter. The contrast of hues amplifies the sense of grandeur in the scene. The contrast of hues symbolizes the significance of the event depicted (Itten 1970, p36). Contrast of light and dark is created when light and dark values of a color are juxtaposed (Itten 1970, p37). The most obvious examples of this can be seen through the use of pen-and-ink and graphite drawings, as well as etchings and prints such as James McNeill Whistler’s, Reading by Lamplight or Lemons, Oranges and Rose by Francisco de Zurbaran. The contrast of warm and cool is created when colors that are considered warm or cool are used together. Itten was the first to discuss color temperature in color theory. Experiments demonstrated a difference of five to seven degrees in the subjective feeling of heat or cold between a workroom painted in blue-green and one painted in red-orange. Blue-green slows down circulation and red-orange stimulates it (Itten 1970, p45). Warm colors such as red, orange, yellow, and browns evoke a feeling of warmth and comfort, and are attractive to the viewer. As a result, objects painted this color appear to move forward. Cool colors, such as blue, green and grays, recede into the background. The contrast of warm and cool can be used to create nearness and distance. Many of the great Impressionist painters explored this contrast in their landscapes an example can be seen in Camille Pissarro’s View From My Window, Eragny. The red/brown/orange of the house, juxtaposed with the cool sky, establish depth and perspective for the viewer (Ekperigin 2000). Complementary colors were defined by Itten as, “Two or more colors are mutually harmonious if their mixture yields a neutral grey” (Itten 1970, p20). A complementary contrast exists when two complementary colors are placed side-by-side. Used in the right proportions complementary colors give the effect of a statically fixed image. Each color stands unmodified by its intensity stabilizing effect (Itten 1970, p49). Simultaneous contrast occurs when opposing colors are placed next to each other, creating the illusion of vibrations or shadows. The simultaneously generated complementary contrast occurs as a sensation in the eye of the beholder, and it is not objectively present. It is produced because for any given color the eye simultaneously requires the complementary color and generates it spontaneously if it is not already present (Itten 1970, p52). Vincent van Gogh’s Café Terrace at Night is an example of this. The use of dark blue for the figures on the terrace makes them appear to be shadows, primarily because of the contrast between the light orange-yellow and dark blue (Ekperigin 2000). The contrast of proportion is based on the relative areas of two or more areas of color, such as large and small. If a small bright spot contrasts with a large area of darkness the picture receives an increased significance (Itten 1970, p62). This can been seen through, Pieter Brueghel’s Landscape With the Fall of Icarus, the contrast is at work in the juxtaposition of a large body of blue water and a small patch of sky (Ekperigin 2000). Itten developed his ideas on color over decades of reflection and comprehensively applied them to his art, writing and teaching. His work on seasonal color analysis, association of color palettes with types of people, his color contrasts with particular attention to his descriptions of warm and cool colors and his straightforward color wheel and sphere each exemplify his significant contribution to color theory. This entry was posted on September 29, 2014 by sarahemilycraig in Projects.